Join the United Jewish Community of the Virginia Penninsula for a screening of Joe's Violin and snacks. 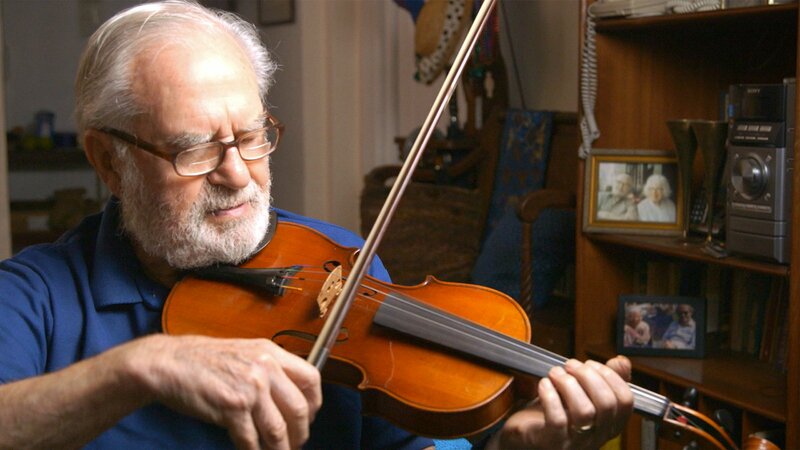 The documentary follows Holocaust survivor Joseph Feingold, who was in a German displaced persons camp awaiting passage to America when he found a violin for sale in a local market. The film documents the 70-year journey of Feingold and this violin from postwar Europe to a middle school in the Bronx, where his donated instrument helps him forge an unlikely friendship with 12-year-old musician Brianna Perez. Through Feingold's and Perez's stories, the film explores the value of connecting across generations and the power of music to both heal and inspire.